Aarika offers unusual handmade accessories using kalamkari and metal. We discovered Sarika Rajeev Kapoora��s colourful handmade accessory brand, Aarika, at the By Hand, From The Heart exhibition two weeks ago. It is difficult to miss the quirky jhumkas, neckpieces, footwear and belts made with kalamkari fabric. a�?I have always been interested in designing. As a child I used to love making small gifts for my friends. But I never thought that I would take it up as a profession one day,a�? says the 38-year-old, who worked in the corporate sector for six years before starting Aarika in 2009. The city-based designer, who studied jewellery designing from Sin Gem Institute of Design, beganA� by making jute accessories with temple jewellery designs. But when a friend asked her to create a block-printed fabric neckpiece, Kapoora��s fascination for experimental craft came to the fore. 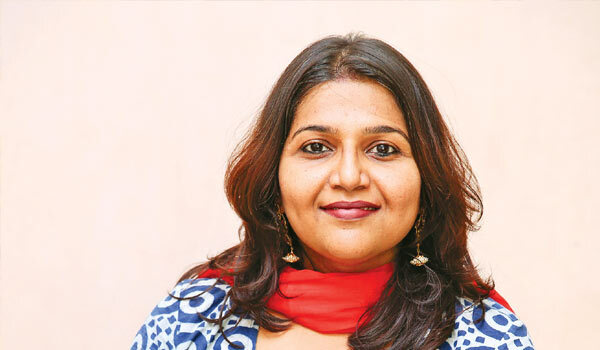 Combining her love for temple jewellery with kalamkari was not easy, she says. a�?It is fabric on metal. Ita��s a very labour intensive work. But the process of sourcing the right material, colour coordinating it with the metal and making one single piece of wearable art, is very creatively satisfying,a�? shares Kapoor, who adds that her greatest inspiration is her sister, city-based fashion designer Neesha Amrish (of Aeshaane fame). Using naturally-dyed fabric besides kalamkari (from Andhra Pradesh), one can also expect prints like dabu, batik (from Kanpur) and ajrakh (from Gujarat). Kapoor tells us that her next collection will feature fall colours. Also in the pipeline is a store in the city. Citizena��s latest launch, Urushi Drop Watch, features a bangle bracelet with the Urushi dropa��an element of traditional Japanese lacquerware. Part of their eco-drive collection, this handcrafted timepiece comes with a metal strap and a single diamond encrusted on the side of the dial. `49,900 (approximately) onwards. Gentlemen looking for formal ethnic wearA� should try the latest ceremonial collection byA� SS Homme. From bandis and bandhgalas toA� kurtas in silk, velvet and cotton, this rangea�� with intricate embroiderya��promises to addA� that festive note to your evenings. Also onA� offer are lapel pins and cuff links.